Politico obtained documents about the ordeal, which is being blamed on a piece of work titled “Cedrus,” created by artist Ursula von Rydingsvard. The Brooklyn-based artist is known for working with large pieces of wood and has public displays (primarily outdoors) at places like MIT. 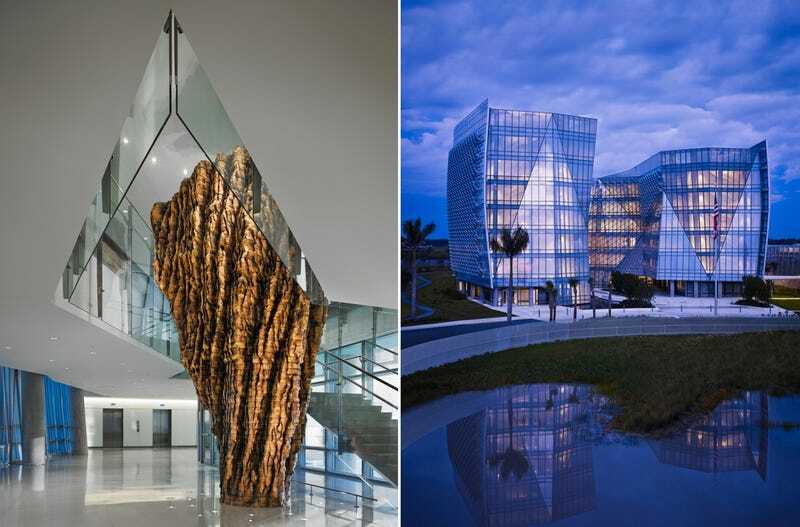 The sculpture that was installed at the FBI’s Miami field office was made of Western red cedar sourced from forests near Vancouver. Over a dozen FBI agents became seriously ill after the sculpture was installed, presumably because many people have severe allergies to Western red cedar. One FBI employee even spent 11 days in the hospital after exposure to the sculpture. The FBI office’s lone nurse had to move to another facility after falling seriously ill.
“Upon the installation of the art sculpture, the nurse developed rhinitis, difficulty swallowing, sinus pressure, sneezing, has difficulty breathing and began to itch all over,” one of the internal FBI documents obtained by Politico reads. But the GSA insisted that whatever was making people sick had nothing to do with the sculpture. Michael Goodwin, a regional director for the GSA, which manages the leases for government buildings, insisted that the artwork should stay. In fact, according to Politico, Goodwin said that the FBI was endangering the artwork by covering it with tarps. A call to Mr. Goodwin was directed to the GSA Public Affairs Office. Politico’s story was apparently news to the official that Gizmodo spoke with over the phone. The agency said it would have to get back to us after reviewing the facts. We’ll update this story if we hear back from GSA. OSHA and the CDC define Western red cedar as “a highly allergenic species of soft wood” and have specific rules about how long workers can be exposed to it. Those rules, of course, were designed to protect workers in industrial production settings and saw mills. But GSA actually brought in OSHA to run tests, and the agency reportedly didn’t find anything hazardous. Or, at least, it found nothing that would violate OSHA air quality standards for American workplaces. Update, 1:10pm: GSA spokesperson Saudia Muwwakkil told Gizmodo over the phone that the agency took “immediate action” when it was notified of people becoming ill and feels that Politico didn’t properly represent its stance, making it sound like the agency was prioritizing the artwork over worker health. In a statement to Gizmodo, GSA said that the agency immediately contained the artwork in plastic, “enhanced air filtration” in the FBI building, “deep cleaned” the office spaces, spoke with the artist, and consulted with the Federal Occupational Health (FOH) agency. Muwwakkil told me that she’s currently consulting with other employees about the incident and will release any further information that she’s able to share with me in the future.